People in Chapadi village of Rakathum VDC are grappling with shortage of drinking water as the water sources dried after the 25th April earthquake. Nepal Jesuit Social Institution, had made an assessment to fix 5 Km water pipe line in the month of June 2016. The work could not continue as the pipe line was going through the fields. 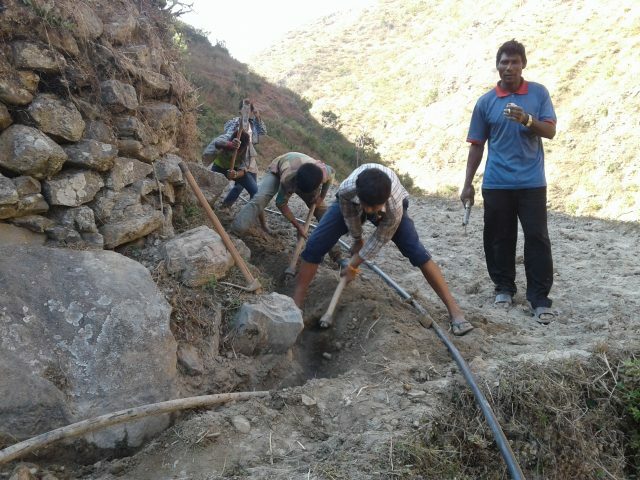 As the harvesting season is over NJSI has continued a project of fixing 5 km water pipeline for the Chapadi village in Ramechhap district on 5 Dec, 2016. Now very soon the people have water in the village.